Use the chart below to help you select products. 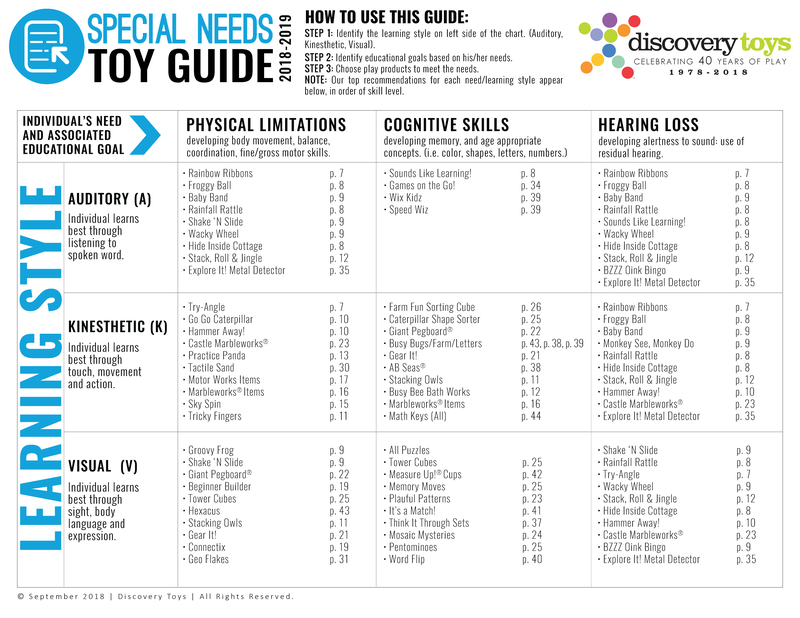 Step 1: Identify learning style of individual on top row of the chart (Auditory, Kinesthetic, Visual). Step 2: Identify the individual’s educational goals based on their needs from the left column. 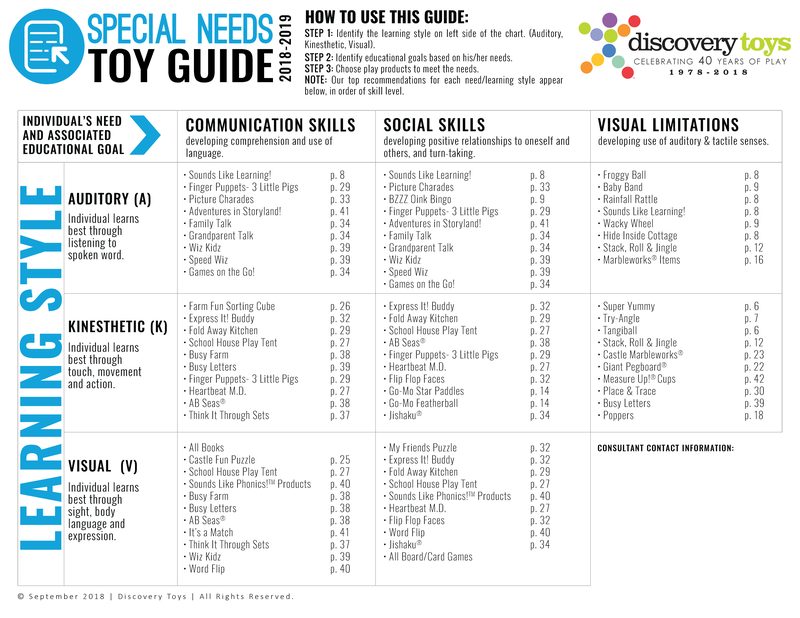 Step 3: Use the chart to choose toys and products to meet the individual’s needs.